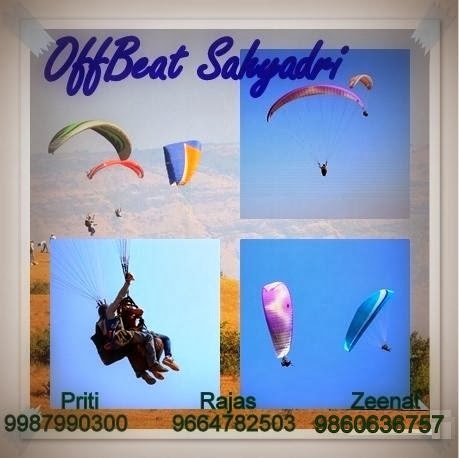 OFFBEATSAHYADRI : PARAGLIDING AT KAMSHET ON 24TH NOVEMBER AND 1ST DECEMBER 2013. 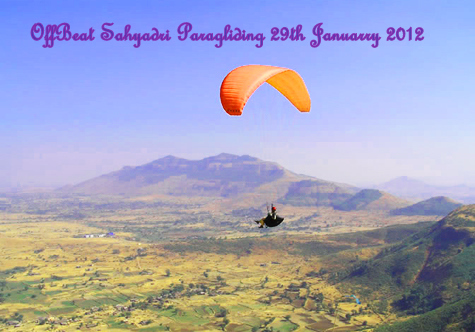 We invite you for an adventure activity, the Paragliding at Kamshet on 24th November 2013 & 1st December 2013. Further they have to catch 8.20 am-Local from Lonavala for Kamshet. 09:30 am : start moving toward Tower Hill by Private Vehicle. 10:00 am : Reach Tower Hill. Reaching Mumbai by 09:30 – 10:30 pm tentatively. We might call people early, depending on wind conditions. Travelling Charges from Kamshet to Kamshet. 1. Hope you understand Paragliding is totally weather dependent activity and We cannot guaranty you the glides. 2. Refund – If due to any technical incompatibility glide doesnt take place, We will refund you Rs. 2000/- only. Please wear full covering cloths and shoes it provides better protection from forceful air.